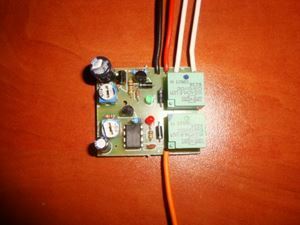 Two white wires must be connected to car front switch with parallel wiring. 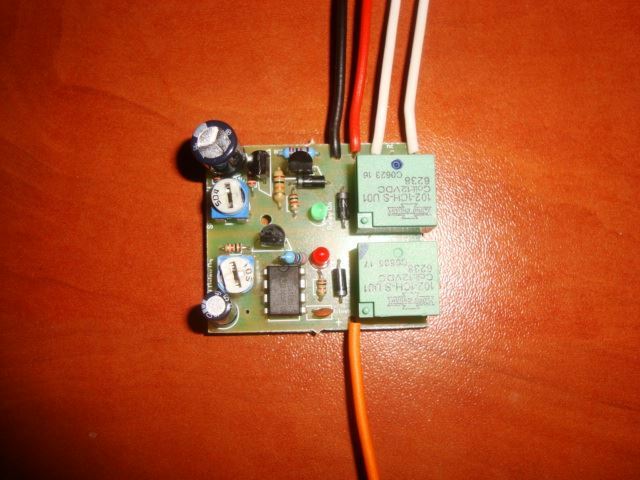 Power: + / RED WIRE/ , - /BLACK WIRE/ Have protection against reverse supply voltage. Must be wired trough 1A FUSE permanently. 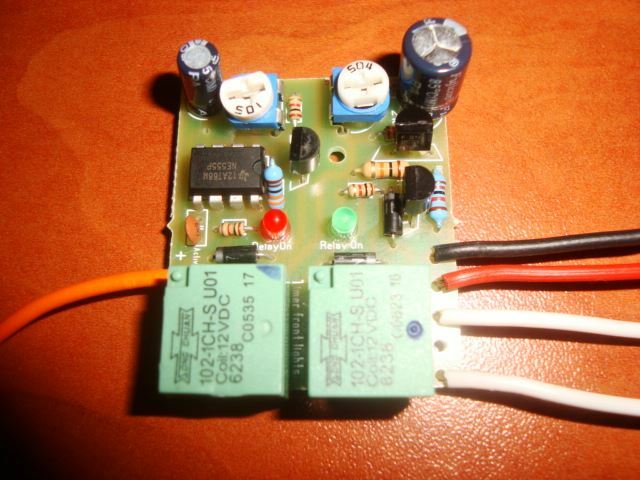 When contact switch is turn on, the timer receive 12V+ and DELAY ON TIME START/ Red diode go on/. 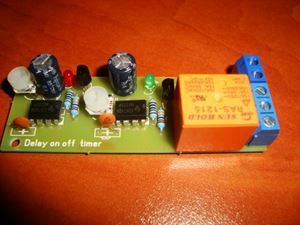 When delay time end - the relay is activated and NO contact close - Front lights go on. This will SAVE your car battery. 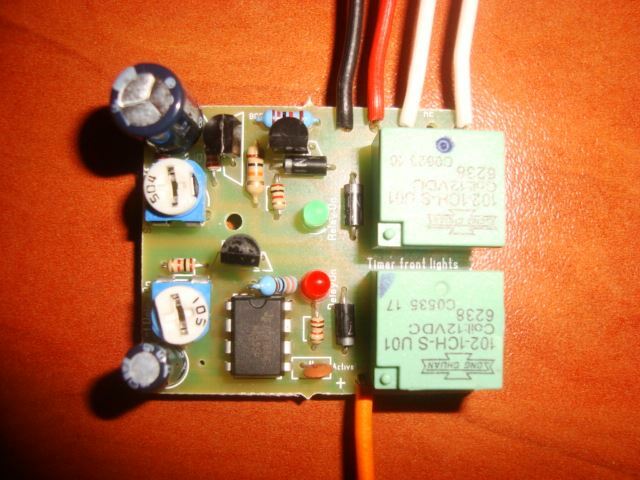 When contact switch is turn off / engine is turn off/ - 12V+ signal stop and DELAY OFF TIME START. WHEN set time end, the front lights go off. This can be used to go far away from car in dark night. By turn on contact switch again - cycle repeat.